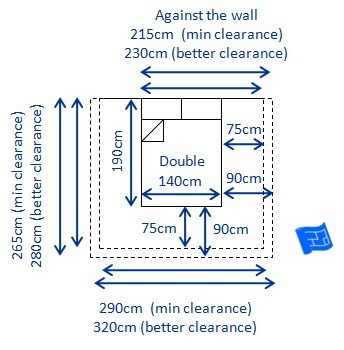 As you may know there are different standard bed sizes around the world. Are human heights that different country to country? There's tall and short people everywhere but go figure. 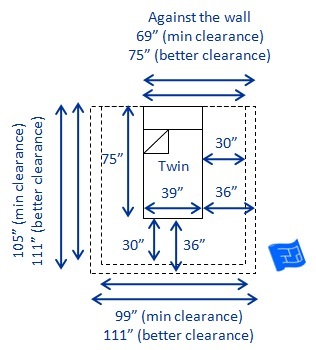 Anyway I cover US / Canada and UK bed sizes here. 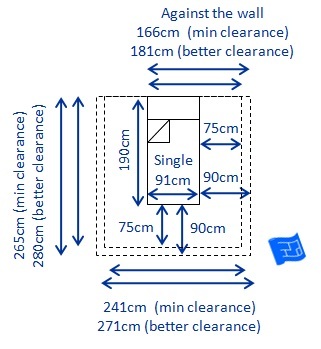 If you have a bed from Ikea (even if you bought it in one of the places covered here) it may be slightly different that either of these but the clearance information will still be relevant. 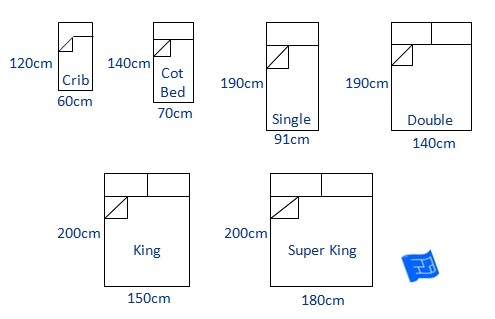 Which bed size are you interested in? 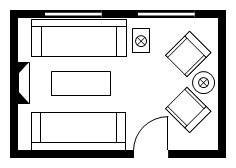 How much space around the bed - side of the bed and end of the bed? 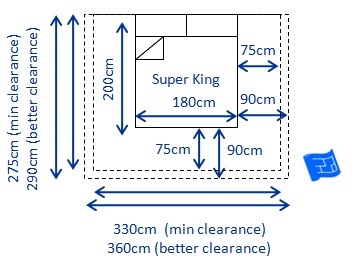 These bed dimensions are based on mattress size. 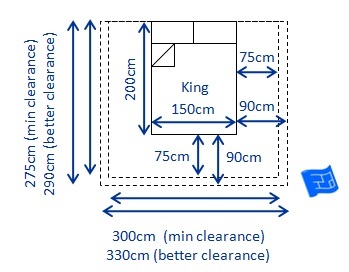 If you have a bed frame that sticks out from under the mattress then you'll need to add to these total dimensions depending on the size of your bed frame. 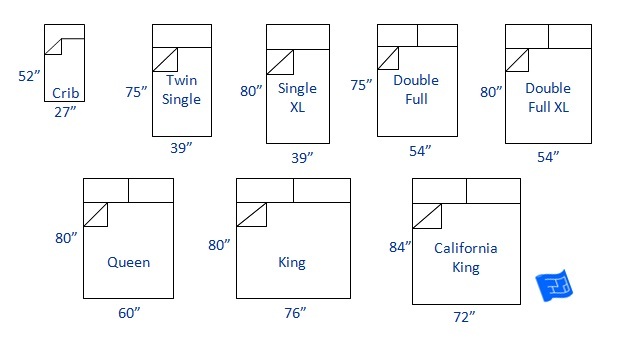 You can get scaled versions of these bed sizes in the free floor plan symbols file. 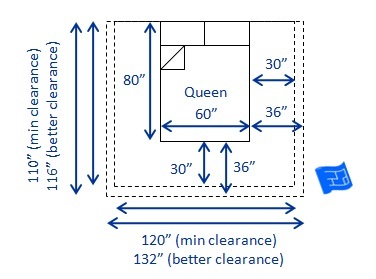 Allow a minimum of 30 inches around each side of the bed and at the end of the bed. For a more elegant and luxurious feel leave a minimum of 36 inches around each side and at the end of the bed. 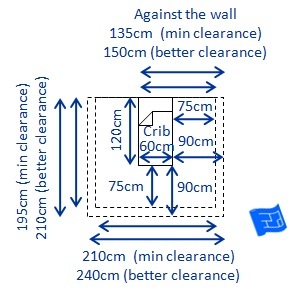 You might of course have a single or double against the wall, and a crib against the wall with no clearance at the ends. 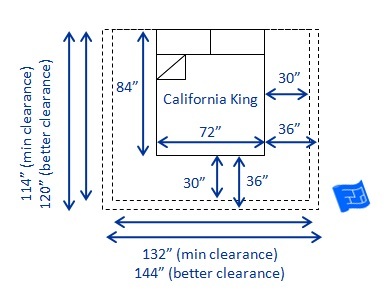 If you have an XL single or full XL you'll need to add 5" on to the bottom of the bed clearances. 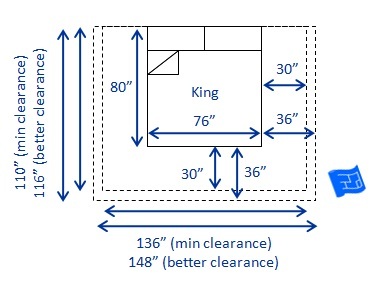 If you want to put a bench at the end of the bed you'll need to add the width of the bench to the total dimensions shown here. 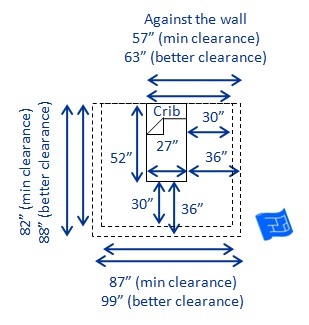 These dimensions are also handy for rug sizes in bedrooms. 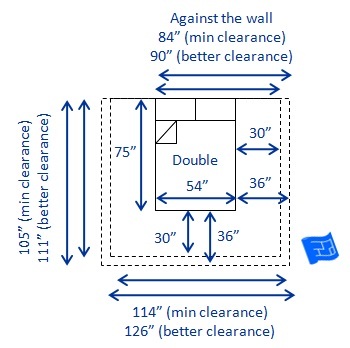 There's some rug layouts for bedrooms on my Pinterest board on bed sizes and other bedroom dimensions. 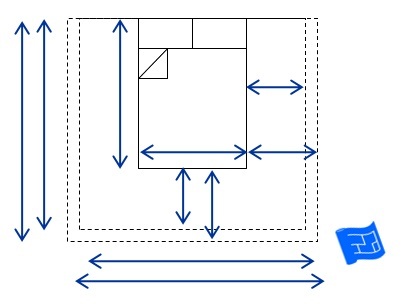 You may also be interested in the free floor plan symbols to help you with your bedroom layouts. 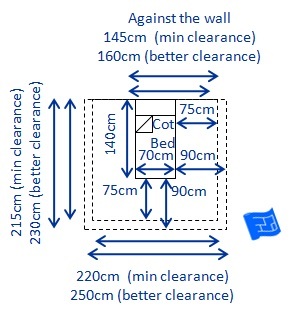 Allow a minimum of 75cm around each side of the bed and at the end of the bed. For a more elegant and luxurious feel leave a minimum of 90cm around each side and at the end of the bed.